In celebration of the Woodman’s 100th Season in 2016, one hundred historically important “treasures” from collections across the campus were chosen to be highlighted in daily articles of the Foster’s Daily Democrat newspaper. 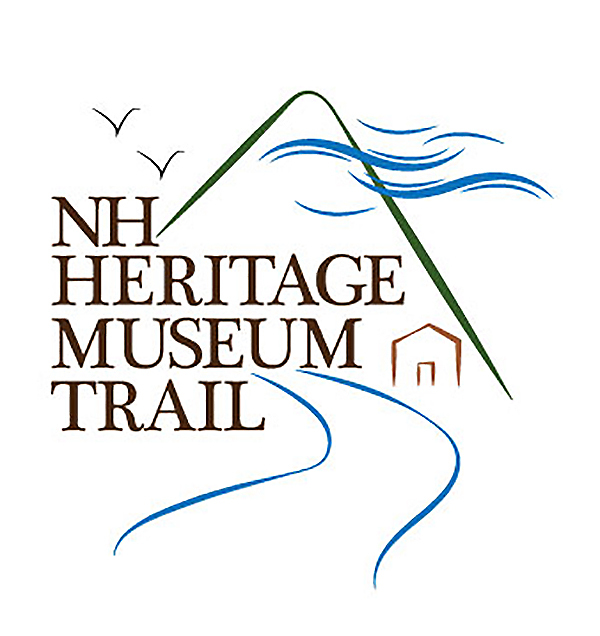 Each of the specially marked artifacts has a special connection with Dover or the surrounding Seacoast area and reflect the museum’s focus on history, the arts, and natural science. Among the treasures are a saddle used by Abraham Lincoln in the weeks preceding his assassination, a meteorite fragment from the 16th century China, a ten-foot tall Siberian polar bear, a pillaged War of 1812 British ship cannon, and even armor worn by a Japanese samurai. This year, those treasures have become part of an online assisted ‘scavenger hunt’ that spans across all four of the museum’s buildings. Visitors can locate 38 of the 100 treasures during their self-guided tour of the Woodman House and sign up to win one of (2) pairs of wireless Apple AirPods earbuds, donated by Dupont’s Service Center. 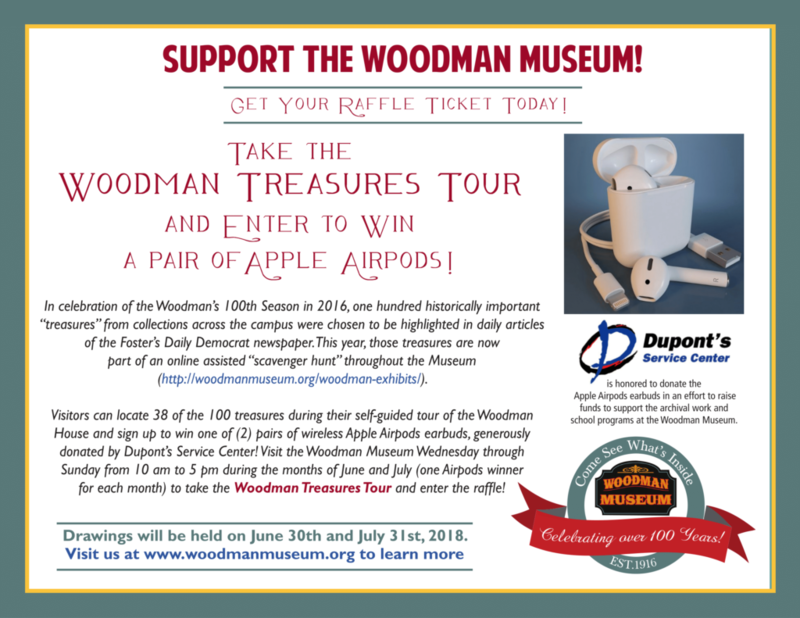 Visitors can take the Woodman Treasures tour by visiting the Woodman Museum Wednesday through Sunday, from 10 am to 5 pm, during the months of June and July (one AirPods winner for each month). Normal admission rates apply for participation in the tour and accompanying raffle.